Almost sixty-four years ago a duel was fought in these pages. Wielding wits rather than rapiers, the masked duelists—a “Mr. X” and a “Mr. Y”—vied for the prize: the mantle of Nation puzzle master Jack Barrett, who had died in a boating accident. It was 1947. Scarcely a soul is now alive who remembers the fray. 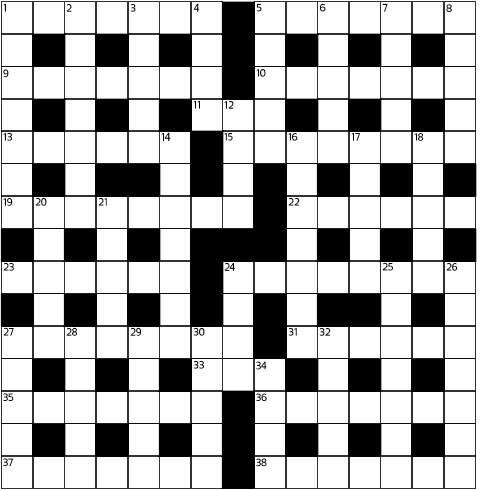 Mr. X and Mr. Y squared off on the back page of the magazine with six fiendish cryptic crossword puzzles apiece, which alternated over a dozen epic weeks. Nation puzzlers (a perspicacious and picky lot) cast their votes. And the winner was [flourish of trumpets]—Mr. Y, with three-fifths of the vote! So began Frank’s sixty-two-year reign on the back page of The Nation. 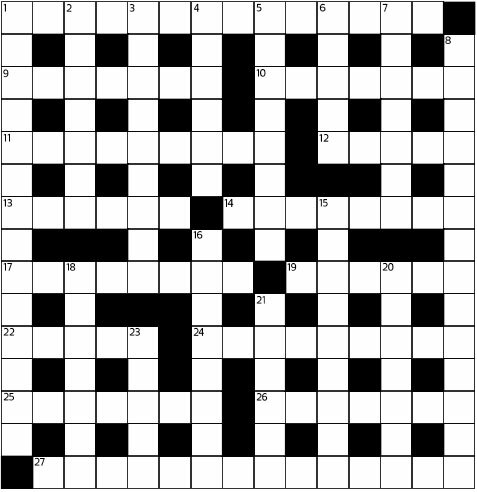 Bearing this illustrious history in mind, the current editors have sent forth the word: there is to be another duel in these pages—a cryptic crossword contest to select Frank’s successor (Frank died last year at age 98; we have been running golden oldies since his retirement a year earlier). Readers will once again be asked to vote for their favorite on a field of crushing cruciverbalist combat. Once again the hallowed mantle will pass to a new master. This time around five finalists, chosen from dozens of highly qualified aspirants, are pitted against one another. This time the contest is not drawn out over twelve issues but is contained here in one issue. And this time readers will vote using twenty-first-century technology—an online poll. 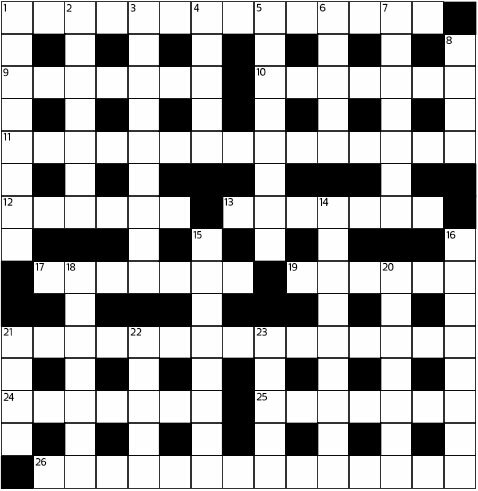 So, dear reader/puzzler, now you must do your part. 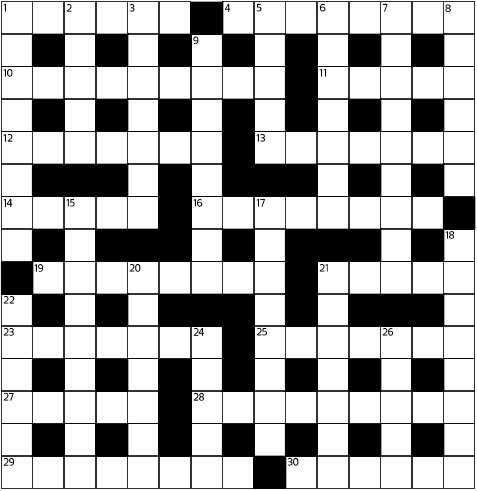 On the following pages you will find five puzzles, each by a different puzzle “setter” (the official term). Match your wits with these five adversaries, whom we have given noms du plume a bit trickier than Mr. X and Mr. Y. You are charged: skate their surfaces, unscramble their anagrams, wince at their puns, judge their erudition, cut their Gordian knots. Then cast your ballot. (You have four weeks to make up your mind.) May the best man, or woman, win. 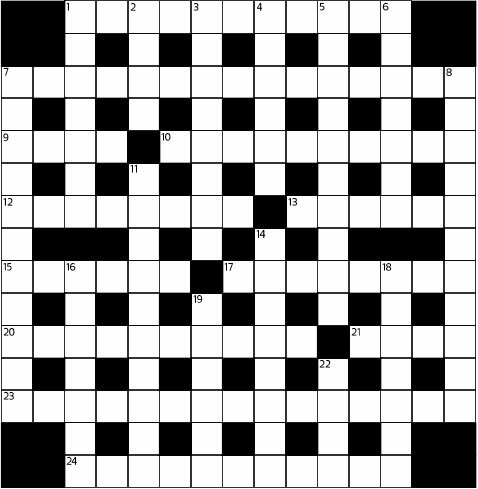 TheNation.com/crossword-contest. Give up? Here’s the solution!